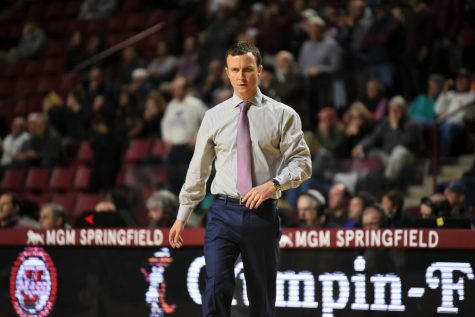 Thursday night’s win for the Massachusetts men’s basketball team is one it will sure remember – and potentially build upon for the rest of the 2016-17 season. Was it sloppy for the majority? Yes. 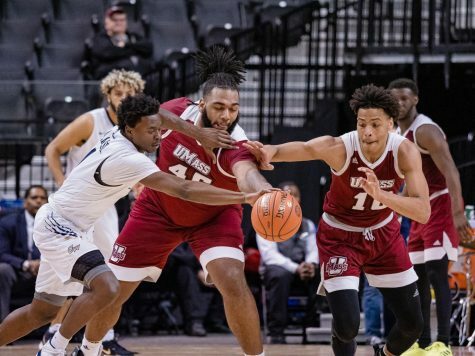 But despite all the up and down’s throughout, UMass and its young core got its first taste of a nail-biting victory, holding off Temple 70-67 at Mullins Center in a renewal of an old Atlantic 10 rivalry game. 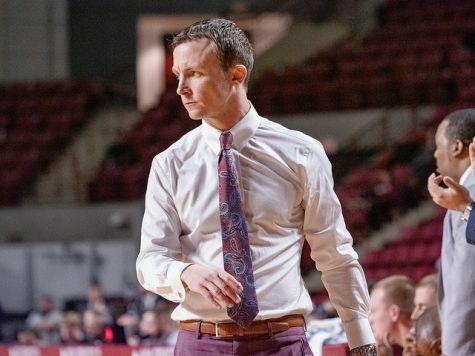 “I’m getting old fast, just so you know,” Minutemen coach Derek Kellogg said joking after the game. 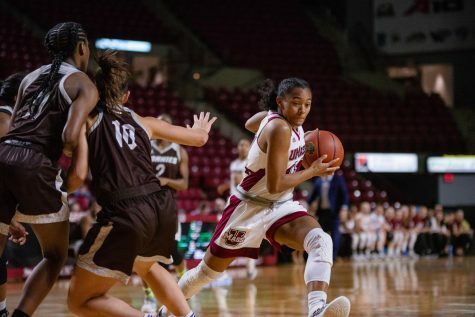 UMass (2-1) found itself in a similar situation against Temple (1-2) as it was in its last game Monday night against Mississippi. Although the Minutemen blew a late nine-point lead after failing to make a field goal in the game’s final three minutes, 49 seconds versus the Rebels, the Minutemen and Temple battled neck-and-neck in a one-possession game for the final 17:07, as neither team held more than a three-point lead at any point during that stretch. 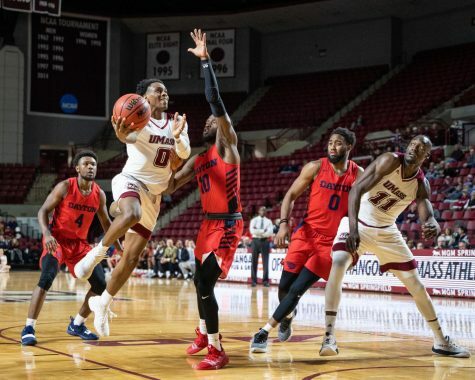 After Rashaan Holloway threw an arrant pass out of bounds intended for Luwane Pipkins with 1:08 remaining and the game tied at 65, Kellogg went with a four guard rotation (Pipkins, DeJon Jarreau, Donte Clark and Zach Lewis), moving Berger to the center position to matchup with Owls forward Obi Enechionyia, who scored a game-high 26 points. 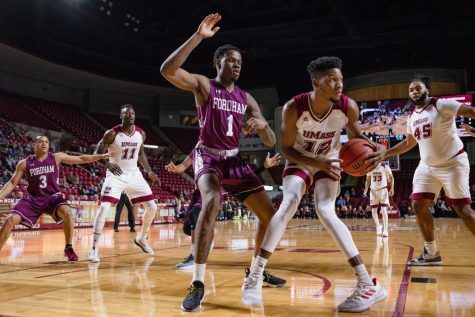 With the Minutemen trailing by two and only 34 seconds left on the clock, Jarreau provided the heroics for UMass scoring a go-ahead 3-pointer to give it a 68-67 lead. Following a missed 3 from Owls Daniel Dingle, Jarreau caught a long outlet pass from Pipkins for an easy layup to secure the win. 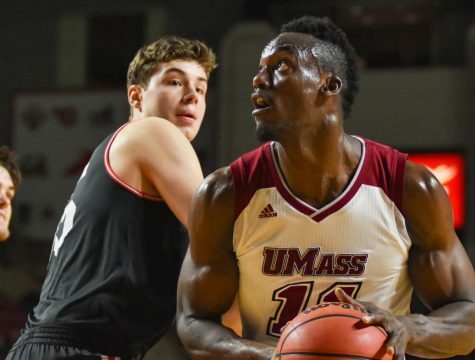 Despite assisting on 17-of-27 total field goals, the Minutemen looked out of control for long stretches against the Owls, as UMass turned the ball over 18 times. Clark had five of his own, while Jarreau, had three himself. Although Jarreau was getting to the basket with east for most of the night, he did force some bad shots while attacking the rim, even burning a tire and falling over on a few different instances. “He burned out of his shoes like three times,” Kellogg said immediately following up Jarreau’s statement. 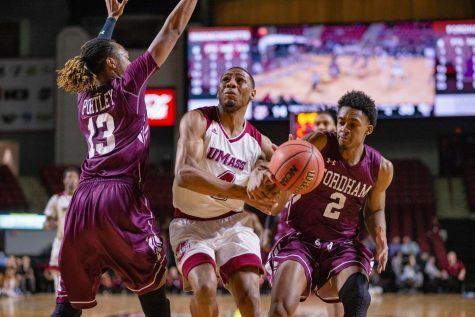 In addition to limited turnovers, Kellogg also felt UMass needs to improve its pick-and-roll defense, as well as its free throw shooting. 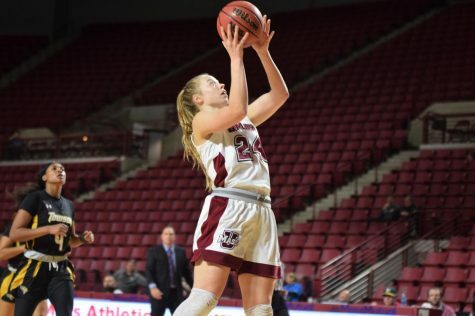 The Minutemen finished 9-for-17 from the free throw line (52.9 percent), however made 2-of-7 in the second half. 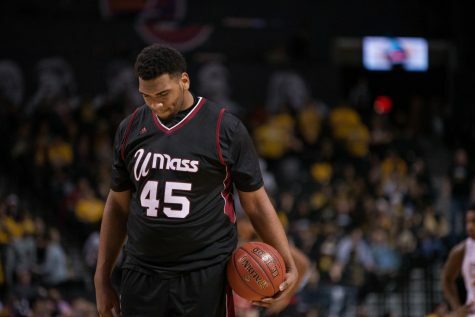 Holloway, Clark and Pipkins were the only three players to attempt free throws for UMass.